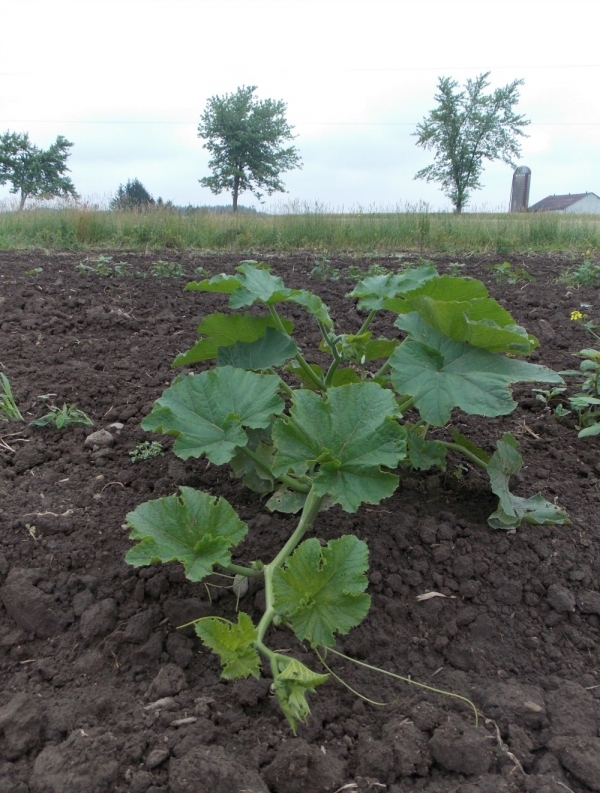 At Mapleton's, we plant pumpkin seeds in Early to Mid June. 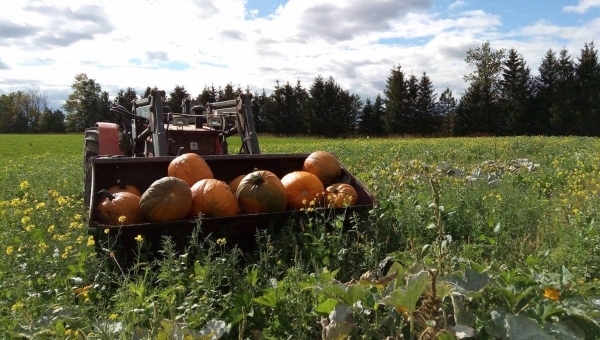 In the Fall, we open our pumpkin patch up to pick your own (PYO) pumpkins. 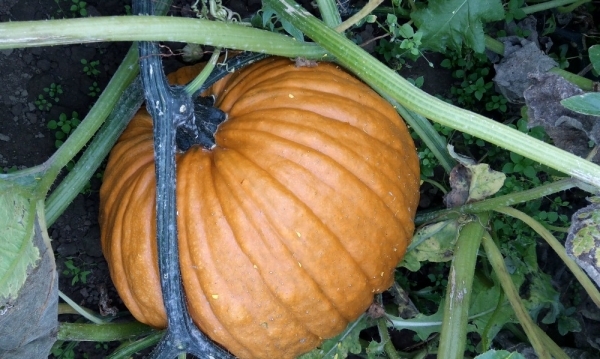 Follow this blog to learn more about our pumpkins and watch them grow! Our pumpkin patch will be open starting the first weekend in October. Our pumpkin patch is closed for the season. Hope to see you next year. The pumpkin patch will open Thanksgiving weekend! We have brought a few pumpkins to the store front for purchase. Pumpkins range in price from $3-6. Visit us during our Fall Festival for a wagon ride to the pumpkin patch. Our pumpkin patch was in great need of some heat! We are very thankful that we have had good weather throughout the month of September. We finally have a few orange pumpkins in the patch! 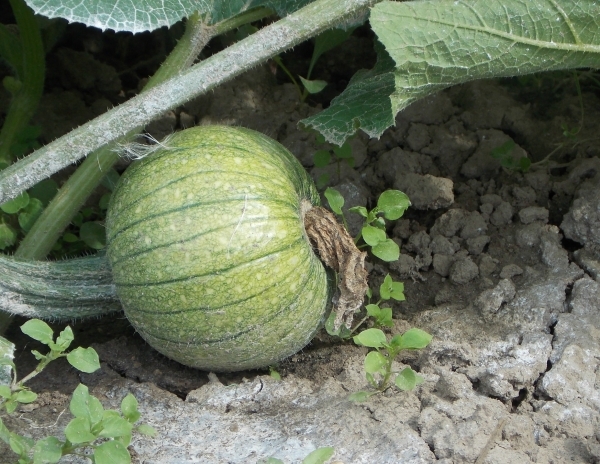 We are starting to see a few pumpkins in our patch! The largest are about 5 inches across. 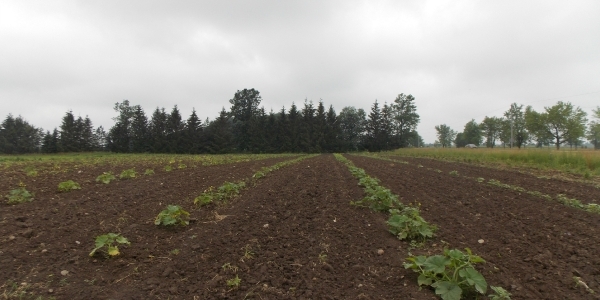 The plants themselves are significantly larger and have almost completely filled in the rows. 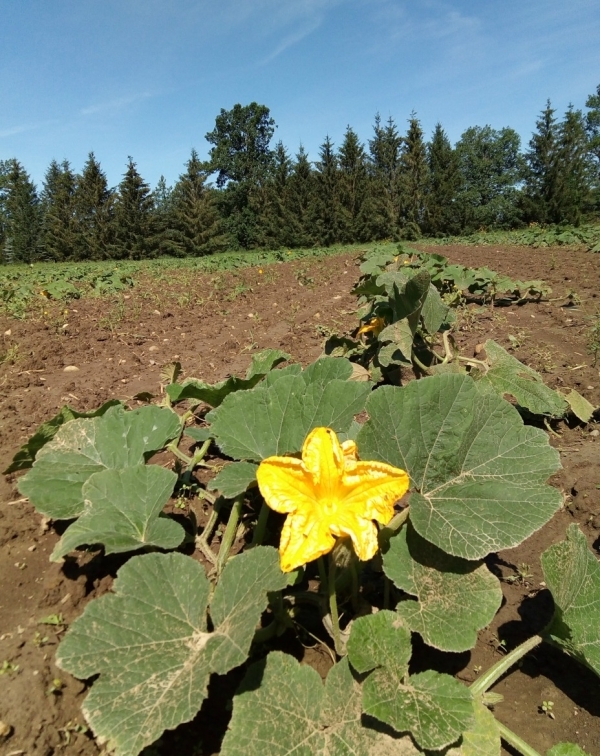 Our pumpkin plants are starting to blossom. The plants are healthy and growing well. Our pumpkins are also used in our pumpkin ice cream. Arwa featured in Women in Farming Series! 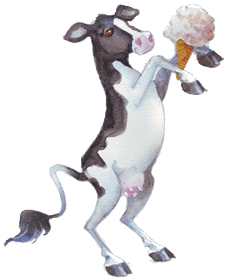 Making Ice Cream - Pasteurization, Homogenization, Flavours & Freezing! June 12th Friday at the Farm - Solar Panels and Sun Catchers! Why do farms need animals? Yogurt In A Face Mask? 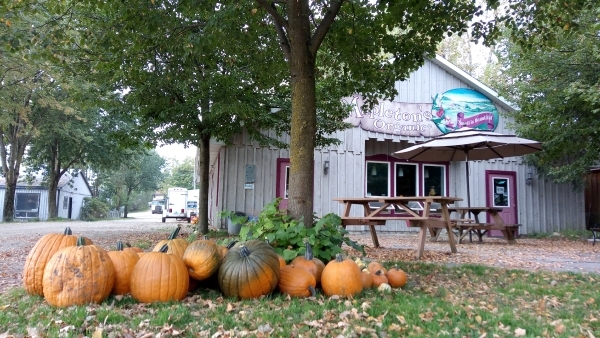 Main Dairy Barn - Open all year during Farm Store hours! Meet the cows and see our Voluntary Milking system in action. The following attractions are now closed for the Winter.... Will re-open mid May 2019! 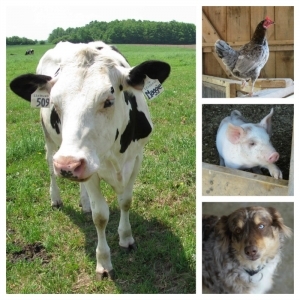 Demonstration Barn - A variety of animals and feathered friends are ready to greet you including pigs, sheep and chickens. Goat Pen - Visitors are welcome to enter the goat pen, located near the demo barn, and play with the goats!